Born in Rio de Janiero, Brazil, digital artist, writer and curator Regina Pinto has been creating innovative work on the Web since 1997. In her recent project, AlphaAlpha, she uses a variety of software applications to create a dynamic work of visual poetry that -- in this screen-viewed medium where text can be encountered in a visual manner -- focuses attention on the representation of the first letter of the alphabet, resulting in a work of collaborative art that, with its evocative connotations of "first letter", also imagines and illustrates how words and text can be represented on the Internet. Regina Pinto believes that one of the good characteristics of globalization is that it allows the exchange of national and international artistic experiences. She "lives, loves and believes" in net art, and her work as artist or curator is primarily done for the Web. She was a finalist for the 2005 Leonardo Global Crossings Award, and recipient of an honorable mention from the 2007 Art on the Net, Machida City Museum of Graphic Arts, Tokyo. Her work has been exhibited internationally, including the UTS Gallery in Australia, Galeria Mezanino, FILE - Electronic Language International Festival, ARTfem TV, and Rhizome. Projects include The Museum of the Essential, and Beyond That, a virtual museum that exhibits the work of international artists, with an emphasis on South American digital art. 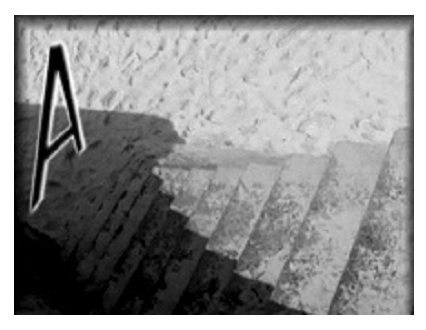 The AlphaAlpha project is a classic collaborative work in that participants were invited to create within the context of an interesting idea, and the producer incorporated their work in a social media_redolent framework, that, in this case, includes texts and visual implementations of the letter "A". The project both alludes to the vibrant South American tradition of visual poetry and calls attention to how text can be represented on the World Wide Web. Participants were from all over the world including Brazil, USA, Canada, Chile, France, UK, Argentina, Finland, Croatia, Serbia, Germany, Uruguay, Spain, and Mexico. AlphaAlpha is composed of 365 instances of the letter "A" plus one more for the leap year. The letters are collected in groups of about ten. AlphaAlpha is a collaborative work and includes participants - artists & poets -- from all around the world. 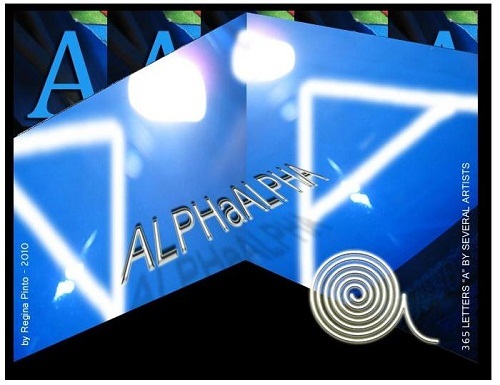 AlphaAlpha is a good example of the possibilities of net art. Net art is being simultaneously conceived and created by many artists from various terrestrial coordinates. To make collaborative work with artists from different coordinates is one way to proceed -- a very interesting way for someone with my deep interests in art and anthropology. A project such as AlphaAlpha, for example, which started with a simple call for a letter "A", received a great variety of pieces, pieces that tell us about the individuals and about their cultures. The amazing success of the project, I am sure, was to ask for the letter "A". Who does not know how to make an A? It is the first letter that we all learn, and as Patrick Burgaud wrote on his inspired work -- http://www.arteonline.arq.br/a/p_a_trick_burgaud.html -- "Avant le A l' humanité n' existait pas" ("Before the A, humanity did not exist".) Working together demonstrates our shared humanity. Chapter 1: "The Beginnings of the Alphabet"